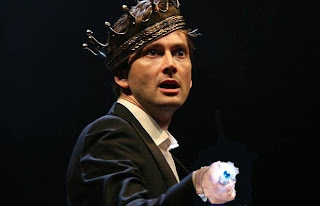 In Act One, Scene Five, Hamlet hears from the ghost of his father, and then complains: "The time is out of joint. O cursed spite! That ever I was born to set it right!" As a character from one of my favorite Bob Dylan songs said: "Hey, I've been having the same old dreams..."
Guess here's one more for the New Year's Resolution list!